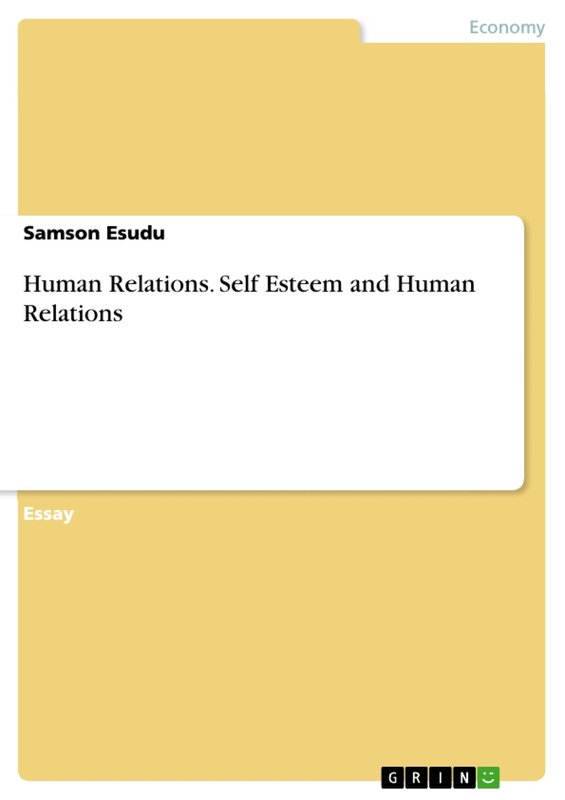 This essay seeks to explain the meaning of the term Human Relations, how personal life influences each other, self-esteem behaviour and challenges faced in human relations. Relationships have many forces that influence the behaviour of other people at all levels. Human relations involve mainly communication, self-awareness, acceptance, motivation, trust, disclosure, and conflict management. These are the pillars in human relations with personal growth and satisfaction. I will therefore make strategic suggestions for solutions to challenges faced in human relations and conclusion that can lead to an improvement. The inclusive good relationship environment motivates and influences good human relationship and team work where peace and flexibility persists. My guiding contributions towards understanding on human relations will elaborate on challenges and resolutions for good human relations. Acquire general information about human behaviour and apply it. Once a person understand how other people are that make them smile, happy as the bible describes it in the second commandment that ‘Love your neighbour as you love yourself (Mathew 22:39)’. Therefore it implies that one has to analyse him/herself and compare with other’s behaviours so as to make adjustments to suit each other to ensure peaceful neighbourhood/relationship. Obtain feedback from other people. There are different ways of obtaining feedback from other people about one’s personality. Other people can use one on one feedback; others use gossip method, others through social media like Facebook, whatsapp, Black Berry Messenger etc while others use demotions or promotions at place of work depending on feedback. Therefore one should be able to obtain feedback from other people in order to understand him/herself. Get feedback from self-examination exercise where by an important aspect of self-understanding is the self-concept, or the way a person thinks about himself or herself in an overall sense. The self-concept is based largely on what others have said about you. A strong self-concept leads to self-confidence which is a basic requirement for being successful in good relationships. The above self-examination strategies play a role in understanding the effective human relationships. Human Relations occur at several levels. Individuals interact in a variety of settings as peers, subordinates, and supervisors (Highland, Patrick J. 1996). Informal groups have more power in either situation; important human relationships are taking place. Employees relate to their fellow workmates, other formal groups, and informal groups. The norms set by a group can greatly influence a person's behaviour and relationship. Dress and language are two examples. 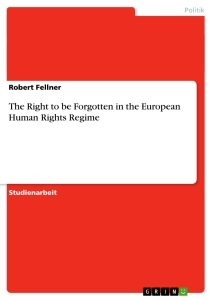 Considering the number of groups in the complex settings of the twenty-first century, the influence is unlimited. Employee-Employer relations; the organization provides an opportunity for individual satisfaction. To achieve such satisfaction, and to continue as a successful member in the organization, the individual has to comply with organizational policies, procedures, and rules. The organization requires certain behaviours from its employees for them to attain maximum good relationship. The rewards for such behaviours are demonstrated in the form of pay raise, promotions, and continued employment. When the organization promotes an employee, it is relating to the individual in good way. Organisation-formal groups; Complex organizations depend on dividing the work among many formalized groups such as in departments, sectors, programs. Informal groups will also emerge, either positively or negatively affecting organizational outcomes. The relationship between organizations and groups are considered when standards are established. The acceptance or rejection of such standards illustrates the interaction between the organization and the group. Managers-supervisors relationship; this is achieved through people which therefore the organizations with diverse management require managers and supervisors to display a concern for people. Effective balance between people and productivity has to recognize human relations as the key ingredient transforming organizational plans into organizational results. Although it is often misunderstood, effective human relations will lead to success. A strong sense of character grows out of personal standards of behaviour. It is based on internal values and judgment of what is right and what is wrong. Value systems serve as the foundation for their attitudes, preferences, opinions, and behaviours. This process includes: thinking, feeling, communicating, choosing, and acting that are oriented toward ideas, people, or things. Internal value conflicts involve choices between strongly held values. Value conflicts always base on age, race, religious, gender, or ethnic differences. The social dimension of behaviour is determined by a person's personality, attitudes, needs, and wants. An individual's personality is the totality of diverse characteristics including behaviour and emotional tendencies, personal and social traits, self-concept, and social skills (Elton Mayo, 1880–1949). A person's personality has a major impact on human relations. Shared values like in traditional cultures where unity among people was significant in a community by providing guidelines for behaviour and decisions where elderly persons played a big role in giving guidance to young people. Communities choose their values that best suit their needs by ensuring that their individual values are compatible with the values of others though there are some individuals especially young generation that have sold off their traditional values in favour of different values which are not welcomed in a different setting like in Christianity. This is being exercised through language used, dressing codes, and makeups etc. which are not accepted in Christianity. Self-esteem refers to feeling competent and being worthy of happiness. People with high self-esteem develop a positive self-confidence. Self-esteem has self-efficacy component which is a task-related feeling of competence and self-respect component. People who have high self-respect focus mainly on the needs of others happiness. Self-esteem develops from a variety of early life experiences where one may be exposed to a number of occurrences in life that strengthens or weakens values. Good mental health leads to high self-esteem. The links of good mental health and self-esteem is that high self-esteem prevents many stressful moments. People with high self-esteem develop and maintain favourable positive attitudes and perform well. Low self-esteem is poor mental health. People with low self-esteem often develop and maintain unfavourable attitudes and perform below expectations. Self-esteem can be enhanced in many ways. Accomplishing an activity is a major contributor to self-esteem in both children and adults. People develop self-esteem out of the accomplished activity. Given an example of exercise given to a pupil at school and after completing and acquires good grades, pupil develops high self-esteem that he can manage more than others but when pupil doesn’t complete exercise and fails, he/she develops low self-esteem. Therefore completing tasks contributes to self-esteem. Appreciation of strengths and accomplishment is another self-esteem builder. Self-esteem is built through appreciation of work done. Whether complete or not but appreciation contributes to self-esteem. Appreciation always contributes to high self-esteem where one appreciated feels better that he/she can do well. This recognition influences confidence as a feedback. Frequent Socialization with people boosts self-esteem. Exaggerated self-esteem can sometimes lead to intolerance of people who are different. Mixing with other people contributes highly to self-esteem because the relationship with other people influences personality traits. Example is at work place, school, public gatherings etc. Despite the importance of self-understanding, guard against becoming too caught up in the self. Too much attention to the self can lead a person to be self-centred, self-conscious, and uninterested in other people and the outside world. Prejudice and discrimination are major barriers to effective human relations. Prejudice is an attitude based partly on observation of other’s differences and partly on ignorance, fear, and cultural conditioning. I felt discriminated when each community I reached had an impression that Africans are very poor, malnourished, and aggressive because of warring nature in African according to community impression etc. In family visitations that I carried out, most people kept hiding away from me. Children cry while running away from me since that was their first time to come in physical contact with black person. However, I gave them some light about African continent that cleared the bad image they had about African continent in areas I was working. Groups under prejudice and discrimination mainly include women, people of colour, elderly and People with disabilities.